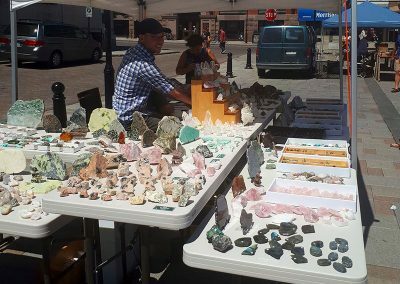 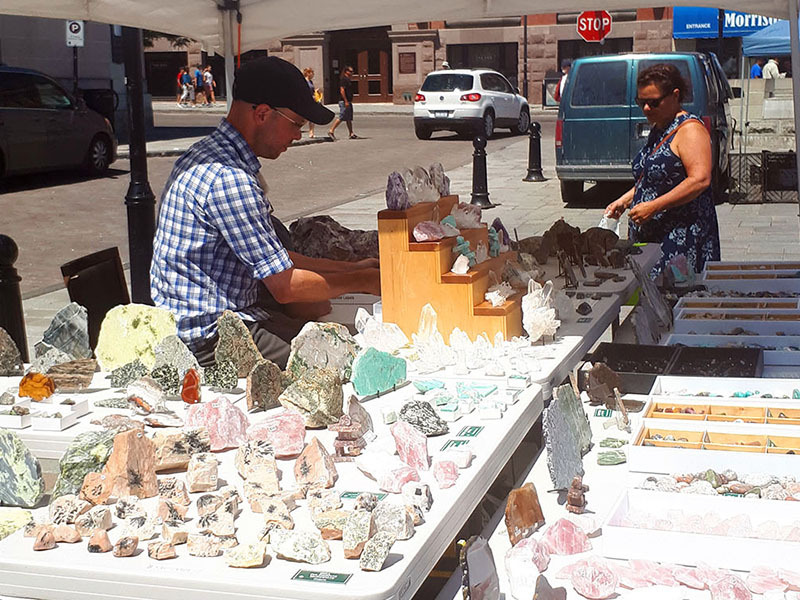 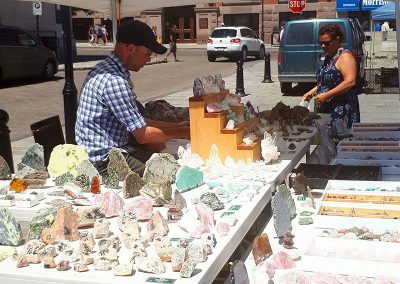 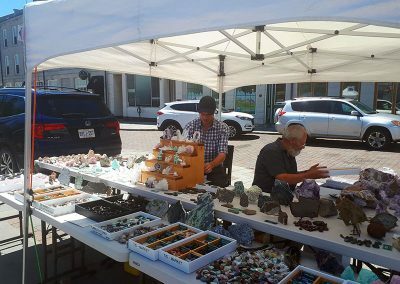 We offer a large selection of stones and rock specimens collected across Ontario and in the Southwest U.S. 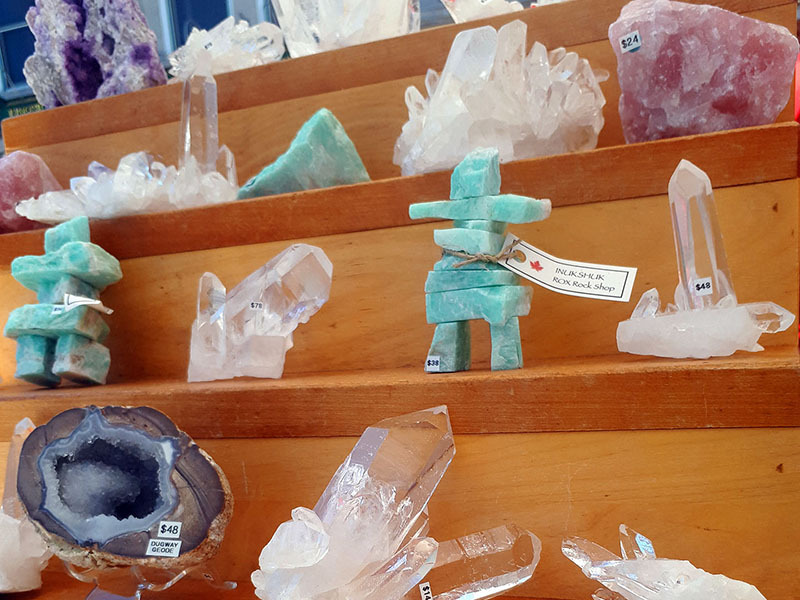 Tumbled and finished pieces are prepared and handcrafted at our shop, ROX Rock Shop, in Westport a 45-minute drive north of Kingston on the Rideau Lakes. 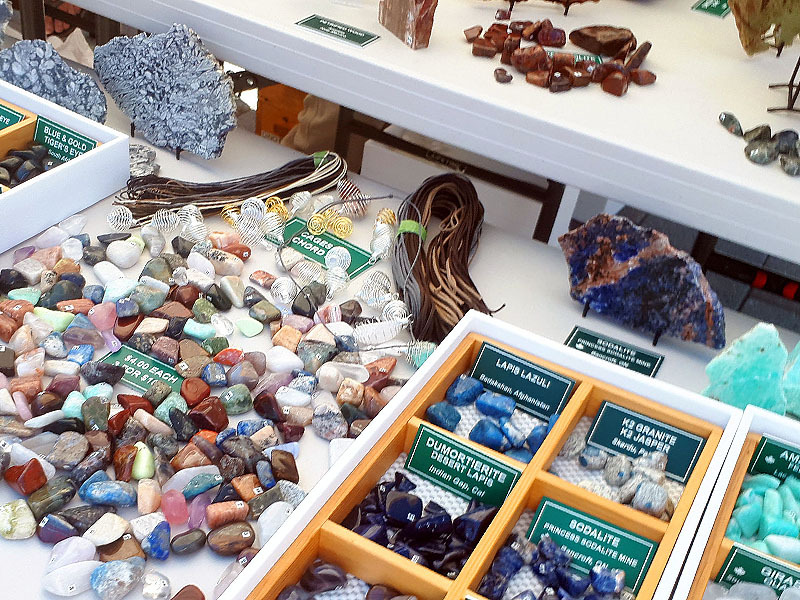 Many stones are used for metaphysical purposes and in the making of jewellery. 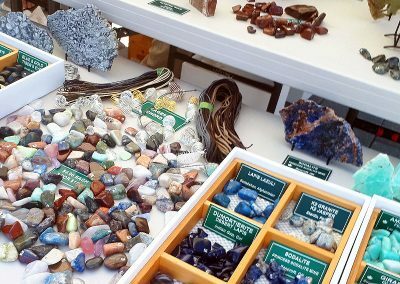 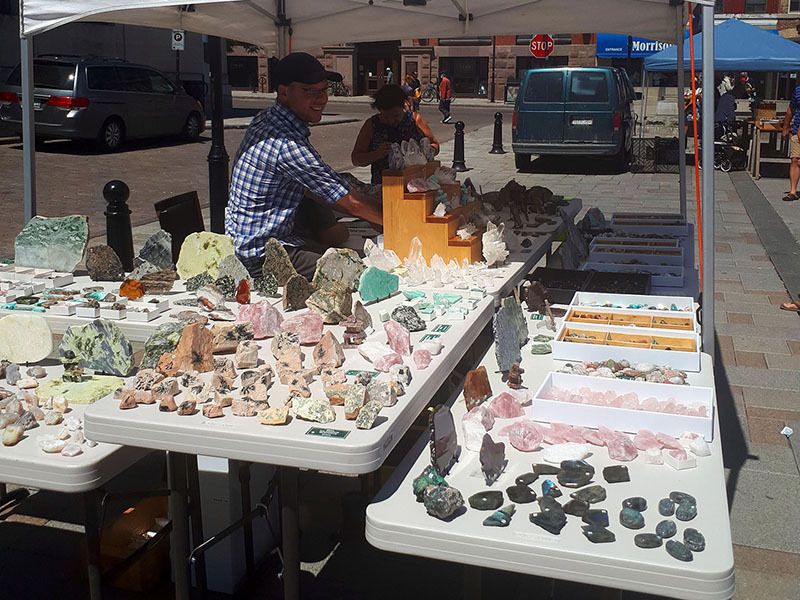 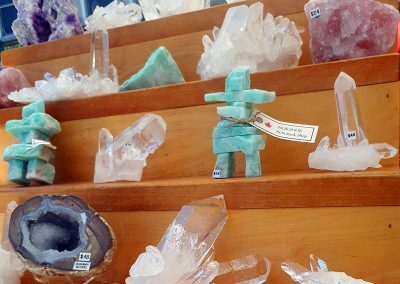 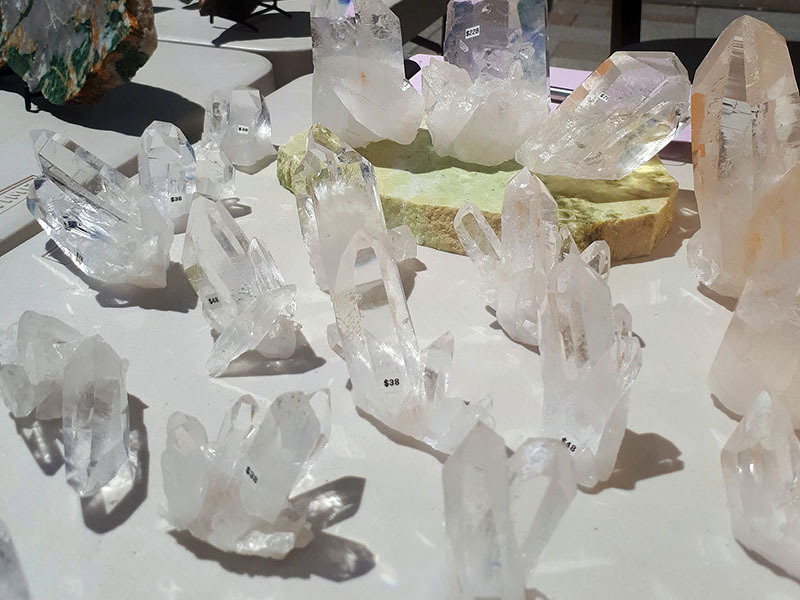 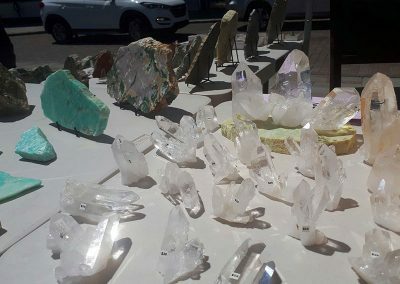 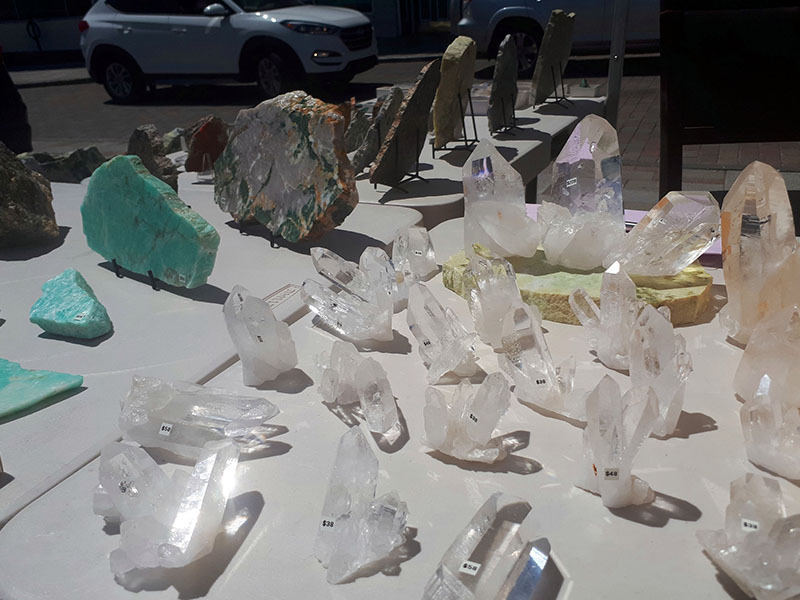 Crystals, gems, rough and polished stones, slices and cabochons that we cut in-house, mineral and fossil specimens, carvings, decorative rock for home and garden, gemstone and handcrafted jewellery.